Support. It’s a point of pride at CCBC and at the core of what we do. No matter what your needs are as a student, we meet you where you are and help you get where you want to go. From advising and accessibility, to tech support and tutoring, CCBC provides wrap-around services to help you succeed. Academic advisement is critical to reaching your educational goals. Whether you’re earning a degree or targeting transfer, our Advisors know the ins and outs to guide you on your way. Online students can access Advisors through their CCBC email. CCBC now partners with Barnes and Noble to provide students with the best options and prices. The Community College of Baltimore County is committed to a philosophy of non-discrimination and provides accommodations for students with documented disabilities through the office of Disability Support Services. 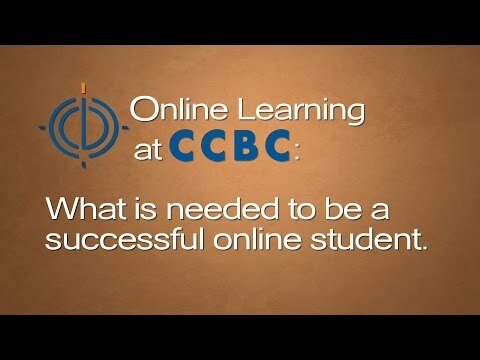 CCBC’s Library offers a wealth of online resources to support your online course work. Online research guides and style manuals, more than 50,000 eBooks and thousands of journals, access to powerful research databases – it’s all here. Need help completing a writing assignment? The CCBC Online Writing Lab (OWL) can help. Staffed by English department faculty, OWL provides free writing assistance to students on all phases of writing. CCBC students who are registered for a class can submit to OWL 24 hours a day, 7 days a week, except when the college is closed for winter break, summer break or holidays. CCBC Tech Support can address almost any kind of technical problem with our 24x7 helpdesk. Through the online helpdesk, you can search popular help topics, retrieve your password, submit a help ticket or chat live with a tech support representative. CCBC’s testing center can help you coordinate testing for all of your online courses. If you’re local, schedule an appointment. Live far away? Find out how to get a test proctor near you approved. We know that, at some point, every student could use some help getting a handle on a bit of difficult material. That’s why we offer free, course specific, online tutoring through Blackboard.